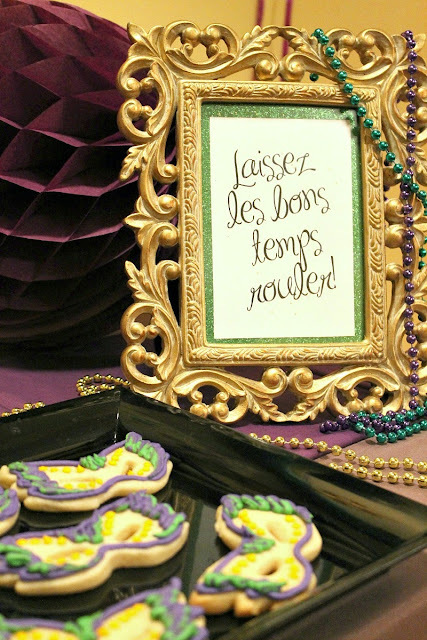 Mardi Gras is fun to celebrate no matter where you live. I've never experienced Mardi Gras in New Orleans but it's on the bucket list. 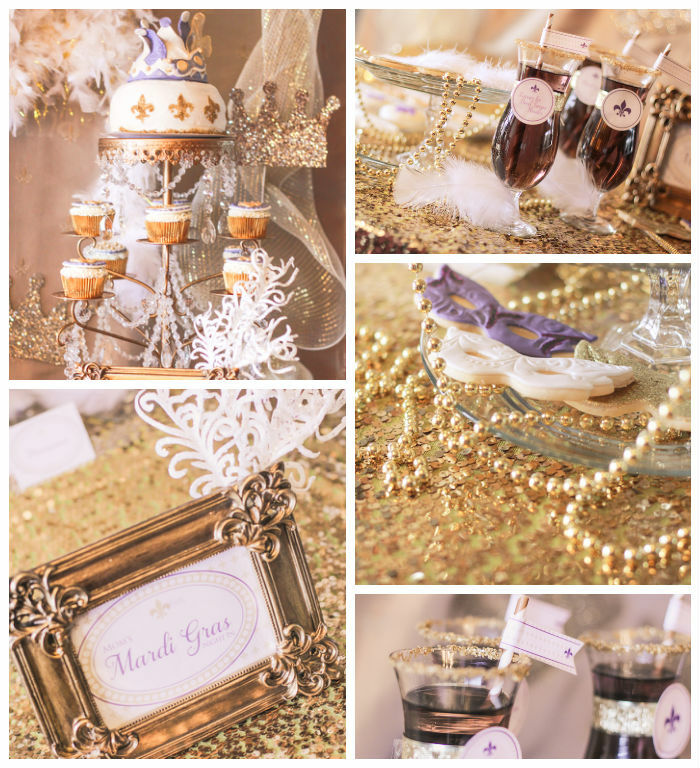 Let's explore a variety of ideas to inspire your Mardi Gras party. I love a well set table. Even though I never set our table because we rarely eat at it. 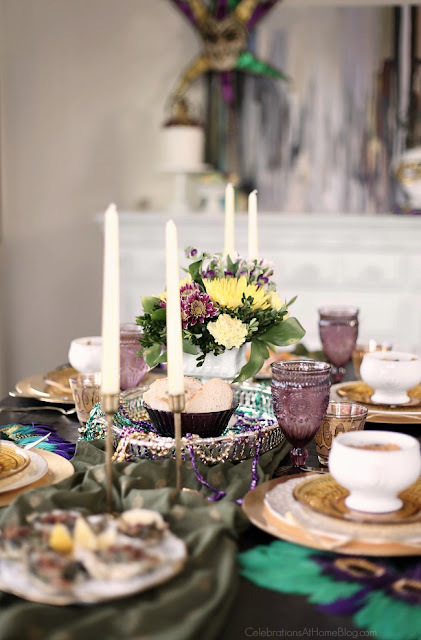 Celebrations at Home definitely knows how to set a beautiful table. I could take some tips from her. Get inspired with table setting ideas and menu. 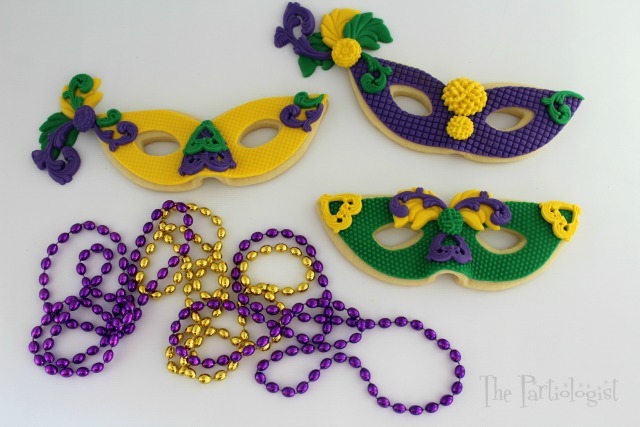 Looking for a bright fun Mardi Gras party? Cupcake Wishes and Birthday Dreams has you covered. From dinner to dessert and photo booth fun. Party Pinching never ceases to amaze me with her creativity when it comes to candy creations. 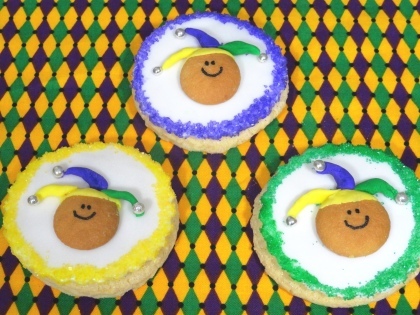 These cuties and more Mardi Gras treats are waiting for you to discover on her site. Is it really a party without cookies? I don't think so. The Partiologist shows us an easy fun way to make cookies. These would be a great party favor. I had to share one of my Mardi Gras parties with you for inspiration. This was the first party that I ever got featured in a magazine. This one appeared in Carousel Magazine and on Kara's Party Ideas. I love how this party turned out. It's so elegant. Did you find some inspiration? Leave a comment and let me know.